Brett A. Schatz is a Partner with Wood, Herron & Evans. Brett focuses his practice in the area of intellectual property litigation. He joined Wood, Herron & Evans in 2001. Brett has many years of experience as a mechanical engineer specializing in the design and manufacture of electro-mechanical products. Prior to joining Wood, Herron & Evans, Brett was associated with another Cincinnati law firm specializing in civil litigation. Since that time, Brett has litigated to conclusion complex lawsuits in all areas of intellectual property, including trade secrets, patents, and trademarks. 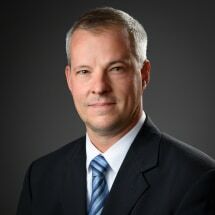 In his litigation practice, Brett has handled cases in federal courts across the country, on behalf of clients such as Presidio Components (patent infringement), Batesville Casket (patent infringement), Carew International (trade secrets and non-competition agreement), DAP (patent infringement, trademark infringement), Gold Medal Products (patent infringement), R.A. Jones (patent infringement), SMI New Home Solutions (trademark infringement), Warner Healthcare (patent infringement), and Little Miss Henna (copyright infringement). Brett is a past adjunct law professor at Salmon P. Chase College of Law, and early in his career was repeatedly named as one of the Ohio Super Lawyers® Rising Stars. Brett currently holds the position of Practice Group Leader for the Litigation practice group with the firm. Brett resides in Cincinnati, Ohio, with his family.